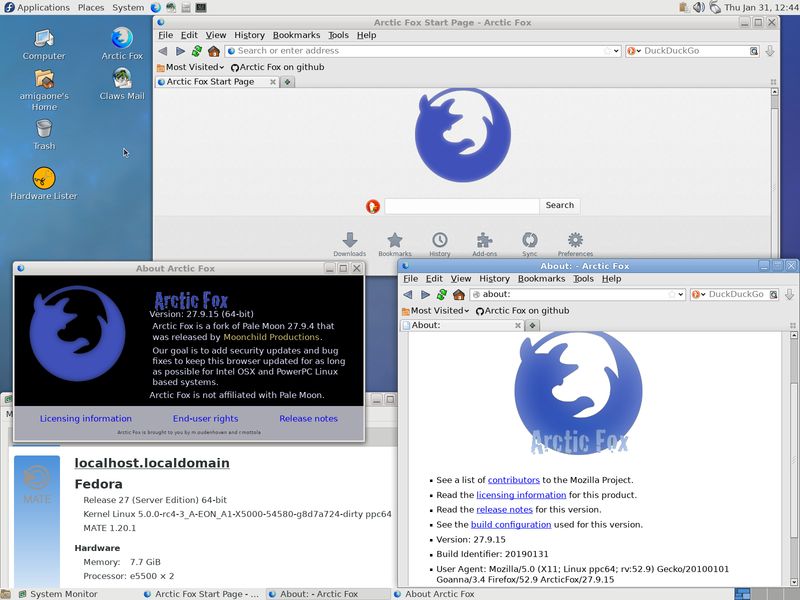 I compiled Arctic Fox 27.9.15 for Linux PPC64 today. I used the 32-bit binary from wicknix. It works on my X5000 but not my G5. xeno74 wrote: Did you compile it with the option 'ac_add_options --disable-jemalloc'? 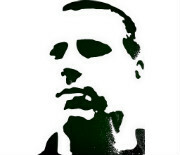 Wicknix will compile the 32-bit version. 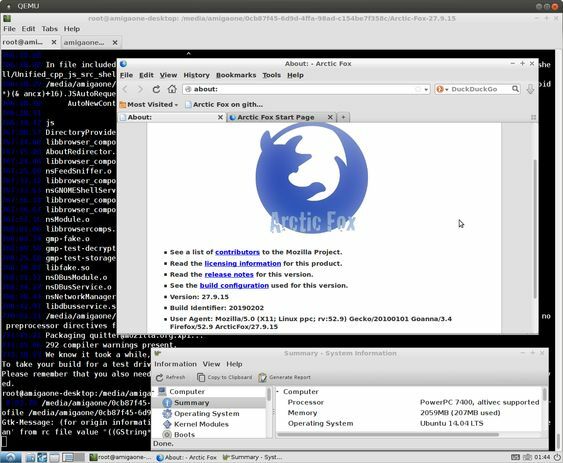 I am compiling a 32-bit Linux PowerPC version of Arctic Fox 27.9.15 in a virtual 32-bit QEMU PowerPC machine (QEMU with KVM-PR support) with Lubuntu 14.04 LTS. It takes a very long time despite KVM-PR acceleration. But I can’t promise that I am successful. 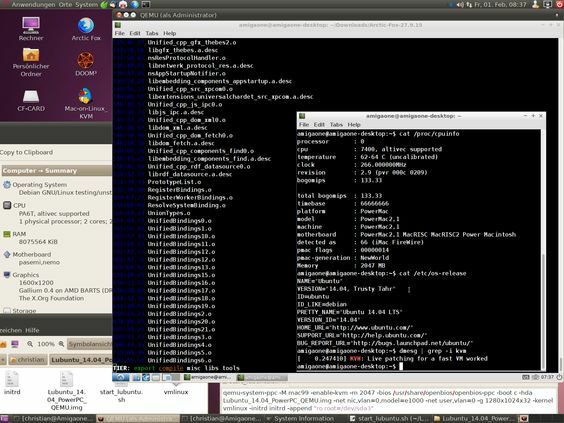 If I was successful then it will support older Linux distributions like Ubuntu 14.04. It isn’t possible to use an extra 32-bit kernel inside the chroot. The chroot uses the kernel from the host system. BTW, the compiling of the 32-bit Arctic Fox wasn’t successful in the virtual 32-bit PowerPC machine. 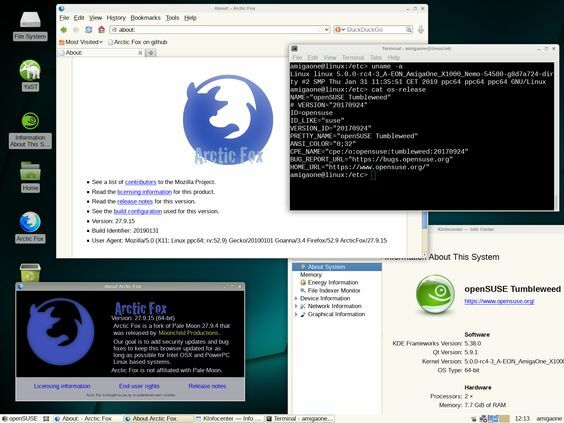 There wasn't enough space available for compiling Arctic Fox on the QEMU HD img. I added a new big img for Arctic Fox and moved all virtual machine files to my PC (i7 4.5GHz). The compiling is faster in the virtual PowerMac G4 machine on my PC.